We are a very experienced, well established window cleaner operating in Hertfordshire and Aylesbury vale surrounding areas. We have built a reputation for delivering a high quality, competitively priced commercial and domestic window cleaning service and guarantee a regular reliable service all year round. CMW Window Cleaning Services provide an exterior, and can also provide an extra interior window cleaning service to the Berkhamsted and Tring Hertfordshire area. We always clean all windows outside including your doors and frames and sills. We use two methods of cleaning depending on the job and your requirements. 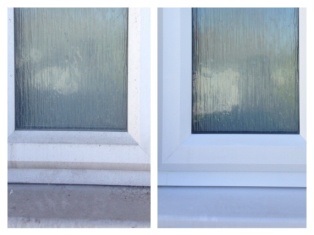 We can clean windows using the old traditional method which involves using soap on your windows and squeegeeing off with a rubber blade, or more and more these days the pure water method below is used which is much cleaner, x100 more efficient and gives brilliant long lasting results on your windows doors and conservatories. meaning your windows are cleaned less often, which works out better value for you. We most often clean your windows using the water fed pole method which involves using 100% purified water to clean your windows with our poles and brushes. Purified water goes through our professional filtration system to remove impurities and minerals. If you were to spray normal tap water on your windows it would leave dirty spots due to those impurities. With pure water, you are left with perfectly clean windows and with our specialist additive leaves them with an extra shine! Being able to clean windows at height without using ladders, respecting your privacy and property. No Ladder Reach system, means no flower beds trampled or disturbed by ladders. Reaching those awkward to reach windows like those above conservatories or garages. 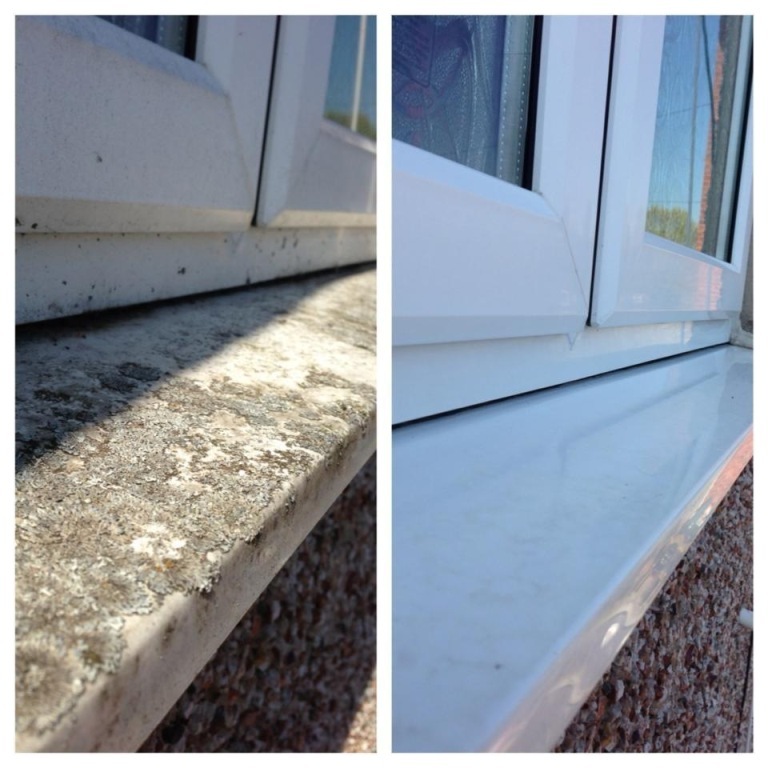 The ability to effectively clean all your UPVC like sills and frames. No non bio chemicals or soaps used. If you would like to learn more about the science of purified water we use and the two processes that are used to get our water perfect to clean your windows, please click these links. 100% - 000ppm Pure DI & RO Water used as standard. As you know neglecting your windows for too long will allow environmental pollutants, dirt oils and chemicals to build up on the glass. This consequently, leads to damage of seals, creates stains, possible leaking and big repair bills as a result. 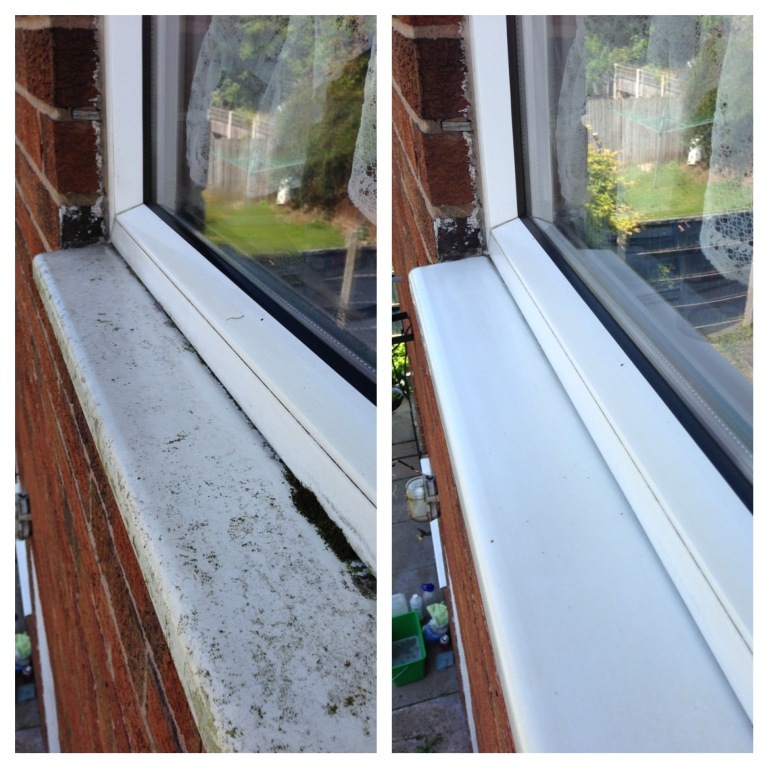 Having a regular window clean makes a huge difference to your property and will prolong the clean appearance as well as the life of your seals and frames, therefore, reducing the risk of huge future repair bills or leaks. In addition to our domestic home window cleaning rounds in the Tring and Berkhamsted areas, we also provide a window cleaning service to commercial clients. Whether you are a shop premises, that require front shop windows and sign fascia cleaned up, to look more attractive and perhaps gain more customers through your doors or equally a coffee shop, office premises, or restaurant. We are fully insured and can provide both method and risk statements on request. Furthermore, we understand the importance of your business’s reputation and appearance hence why we always smartly dressed, are reliable and professional. We are more than happy to discuss your needs, so please get in touch. 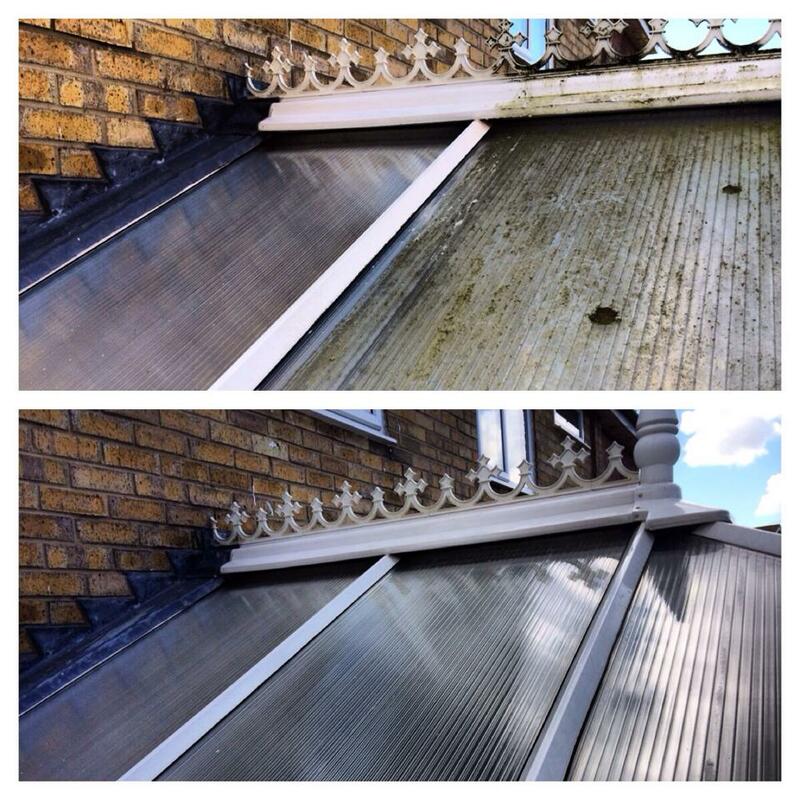 We always guarantee a quality window cleaning service every time with very competitive rates. 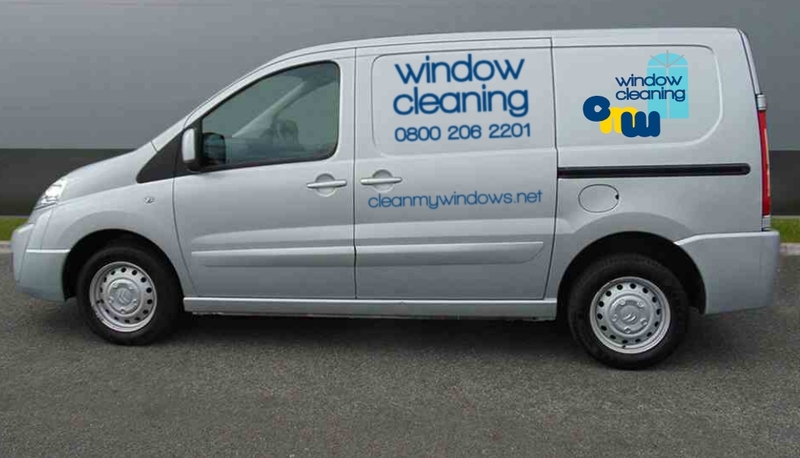 Our window cleaning service is also available in Aston Clinton, Wendover, Halton, Pitstone and Ivinghoe as well as the local towns and villages. Contact us today for a free no obligation commercial quote. 1). Fill in the form for a Quote. 2). We will either send you a quote via email or pop by and see you. 3). We send you a link to set up payments with GOCARDLESS Direct Debit. 4). Your cleaning is then scheduled into you street/area cleaning rota on a 4, 6, 8, or 12 week basis. 5). You will be notified by text SMS message the evening before we attend. 6). Please leave any Gate/Access unlocked ready for the day we attend, and close all windows so that we may clean them. 7). We will notify you when the windows have been cleaned. 8). See you again 4, 6, 8 or 12 weeks after that.